The theme park's investigation says there was no technical or mechanical problem. Back in June, two carriages on the Smiler collided leaving four people seriously injured - including Daniel Thorpe form Buxton in Derbyshire. Two of them, 17-year-old Leah Washington and 20-year-old Vicky Balch, each had to have a leg amputated. In a statement, Alton Towers says it was "the result of human error culminating in the manual override of the ride safety control system without the appropriate protocols being followed". The statement also reveals the park plans to reopen the Smiler in 2016 alongside new safety measures. There is still an ongoing investigation being done by the Health and Safety Executive. 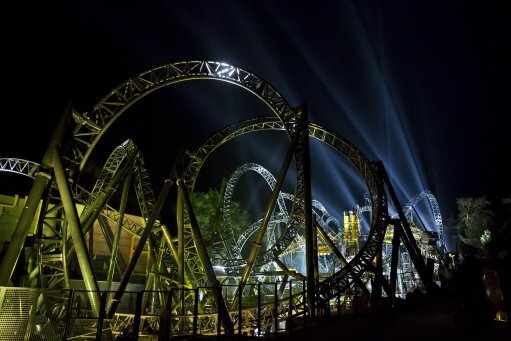 "Alton Towers today announced that it has completed its investigation into the incident which occurred on The Smiler rollercoaster on June 2nd, 2015. The investigation concluded that the incident was the result of human error culminating in the manual override of the ride safety control system without the appropriate protocols being followed. The investigation also identified areas where protocols and the training of employees should be improved. There were found to be no technical or mechanical problems with the ride itself. "Immediately following the incident, the theme park implemented a number of improved safety measures across all multi-car rollercoasters to ensure that an incident of this nature can never happen again. On re-opening, The Smiler ride will also incorporate an extensive set of new safety measures, including technical improvements and enhanced training. An additional level of authorisation will also be added to the existing supervisory protocols to ensure that no manual override process may be completed without a senior member of staff authorising and being in attendance. The technical improvements include multiple additional CCTV cameras and additional manual reset buttons around the track which require staff to inspect each individual section to verify it is clear before authorisation can be given to restart the ride. "Alton Towers continues to provide help and support to all of those who were on the ride when the incident happened. It has taken full responsibility for the incident and continues to co-operate with the on-going Health and Safety Executive (HSE) investigation. We are confident that lessons have been learned and that appropriate action has been taken to address all the issues raised by our investigation and we believe our core conclusions will be in line with the HSE findings. "Having completed all of the necessary steps, the ride, which has been closed to the public since June, will re-open in 2016. "The theme park is currently closed for its winter break."